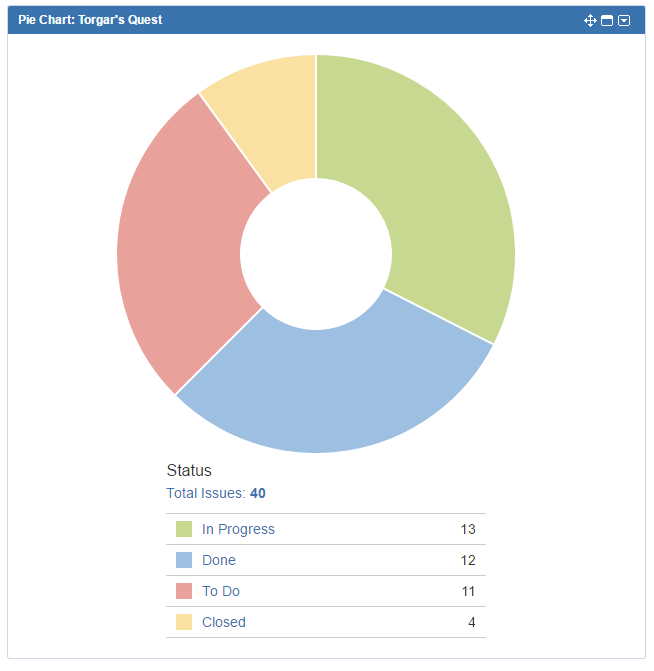 The pie chart below describes the state of Torgar’s Quest, as it appears in our project management software (Jira), with just a few weeks until launch and a completion of 30%, this might look a bit scary. And it is, but not as much as you might think. After the chart, I will tell you why. First of all, the chart above is not a depiction of the entire project. Before moving to Jira, most of the project lived in Trello (an excellent tool, by the way), but I did not bother importing all the completed tasks from the old Trello boards when we migrated to Jira. So our current database only holds issues and tasks created shortly before the game entered the pre-release stage. Secondly, this chart doesn’t say much about the scope and progress of each task. Most of the large tasks are done, and those that aren’t are very close. I suspect that we will be able to close out tasks in bulk, once certain milestones are reached. Still, a chart like this one is a reminder to the Torgar team, that it’s time to really get our hands dirty (which we are). There is a lot to do before launch, and even more on the wish list. Of course, we already started putting some things aside for a future content patch, in order to focus on polishing what is already there over adding new features. Voice over audio added, pseudo-randomly played throughout the game. New Steam leaderboards, now split by the difficulty played on. Additional wall and background tiles. Italian translation and in-game support. Bug fixes related to gamepad support (for win screen and quitting the game). As always, you can Like us on Facebook or follow @tagunda on Twitter, for more news and updates on our projects.